The Business Loan Fund offers two loan products, distinguished by size, term and collateral, to small and micro-business owners. Eligible uses include: business start-up capital, working capital, community development projects, redevelopment in distressed areas, community business ventures, and other efforts designed to create jobs and services in low-income communities. The Fund's flexible lending policies enable it to offer loans for shorter terms than those that can be obtained from conventional lenders. Loan terms range from a few months to five years depending on the use of the loan proceeds and the needs of the borrower. Interest rates are set according to the Fund's current cost of funds and were near 12 percent during 2001. Micro Loans: This loan product is principally used to finance "cottage industries - home-based and youth businesses. Most of these loans are funded out of SBA resources. The typical micro loan borrower uses the loan to buy a new piece of equipment such as a truck, computer, or display case. Without the equipment, the business likely would not be able to serve its customers. Small Business Loans: Small Business Loans are similar to Micro Loans in purpose. A small business loan might be for the physical expansion of a business plant or the purchase of raw materials or inventory. The Loan Fund also makes loans for building purchase, renovation, or leasehold improvements, as long as the collateral is there to support it. The Fund authorizes the use of funds for any legal purpose that enhances the business. The Business Loan Fund's borrowers rely for assistance on an extensive network of business resource centers throughout the county. The resource centers and business incubators support the work of the Fund through "in-wall" services by providing technical assistance to the borrowers for the life of the loan. The business incubators listed below provide valuable training in business plan preparation, record keeping, accounting, and financial management. They also continue to be great support in referring potential borrowers. 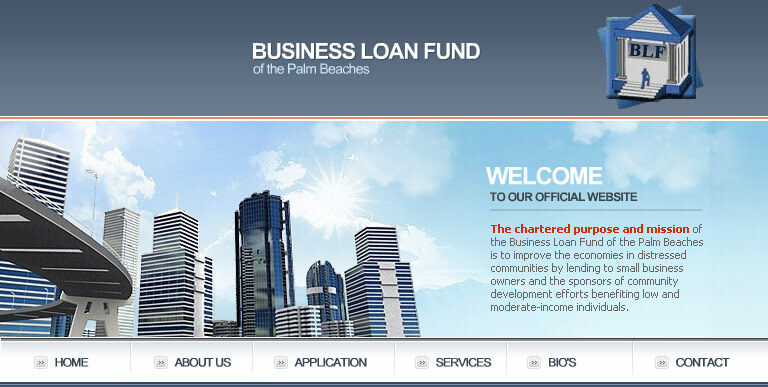 The Business Loan Fund has increased its own capacity to provide business development services. The Fund now provides extensive assistance to entrepreneurs applying for loans. The Fund estimates that it provides an average of ten hours of assistance to each borrower that comes through their door. It assists approximately five entrepreneurs for every loan that closes. Hiring its first loan officer in 1999 made it possible for the Fund to provide reliable assistance to borrowers. The longer the Fund was in business, the more clientele began to come through the door without first going through a business incubator for preliminary help. Now, nearly one-half of all loan applications are generated by word-of-mouth and come from applicants with no prior business training. In 2005, the organization began to offer a six-week long financial literacy course to individuals throughout the region. Partnering with local banks, local and federal government agencies and other community-based organizations, the Loan Fund has graduated 37 people from its first round, and is planning the second course to begin in August 2005. The Fund also offers valuable post-closing technical assistance. To strengthen the businesses and improve collections, the Fund's loan officers make quarterly visits to the borrowers. Businesses in the Glades area receive weekly visits - an "out-wall" technical assistance which is necessary to ensure fragile businesses repay their loans. The Fund has learned over time that post-closing visits to start-up business owners help them avoid developing bad habits, such as paying their loans late or failing to produce and understand financial statements. Eighty percent of the residents of the Glades, an area where the Fund has done considerable lending, are immigrants from Latin America and the Caribbean. The Fund's loan officer is fluent in English, Spanish, and French Creole, making it possible to serve that population well. Lending here requires a lot of one-on-one assistance from application through repayment. The loan officer visits applicants and borrowers regularly - sometimes once a week - providing the needed assistance both before and after closing.